LightMAT is an international conference on the science and technology of light alloys (Al, Mg, Ti). LightMAT 2019 will be the third conference held, and the first of these conferences to be held outside of Germany. 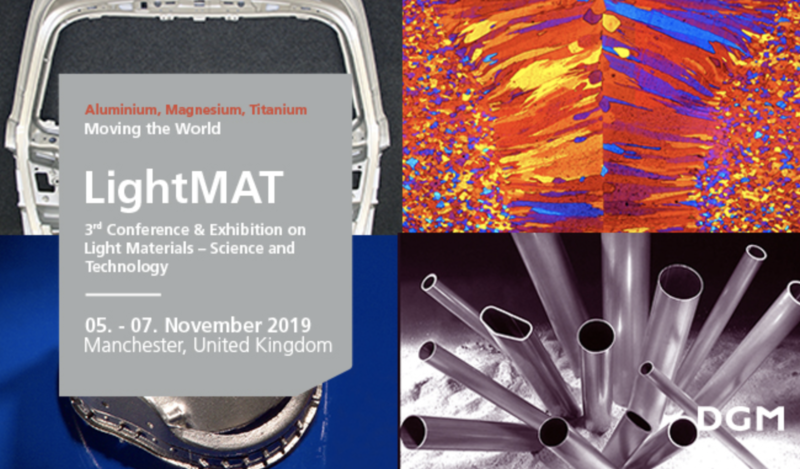 By invitation, LightForm will be hosting LightMAT 2019, which will be organised in collaboration with DGM (Germany) and held at the Manchester Conference Centre from Tuesday 5 November to Wednesday 7 November 2019. 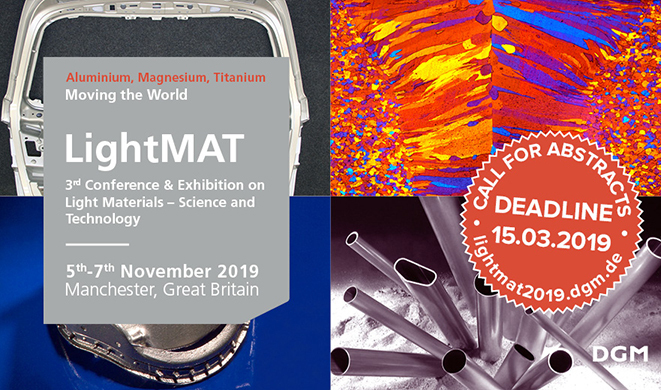 LightMAT 2019 provides a platform for academic and industrial researchers, scientists and engineers to present and discuss the recent development and progress made in Magnesium, Aluminium, Titanium and their alloys and materials combinations.